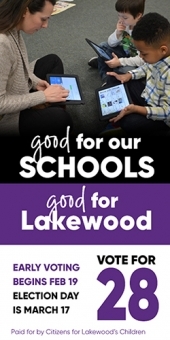 This Website reflects our city's ongoing efforts to communicate effectively with the people of Lakewood, to provide up-to-date information for online users, and to keep up with the technology available to us. Lakewood Public Library Online: Community access to the world of knowledge and world-wide access to the community of Lakewood, Ohio. Pixel Thought Foundry is a Web, Motion and Print Design studio in Lakewood, Ohio focused on proving strategy driven design, testing and analysis. We are passionate craftsmen dedicated to delivering high quality work and forging long term creative relationships with our clients. If you are interested in working together we would love to get to know you better over a cup of coffee. Welcome to Air Rite Service Supply's web site, one of the Midwest's largest and preferred distributors of air filters. We carry in stock over 100,000 air filters packed in our 30,000 square foot warehouse and can ship from stock virtually any air filter for HVAC applications. We also manufacture special size, odd size and custom air filters to order. Check out all the other items we stock & visit our Online Store. Looking for a new companion. Then Let All Dogs' Heaven help you adopt your new best friend. This is a pet-sitting service that is owned and operated by a Registered Veterinary Technician. I have 8 years of animal care experience and I specialize in providing care for senior and special needs animals. I administer medications, subcutaneous fluid therapy, and insulin injections. Shop in the comfort of your home on my website and have your order delivered to your door. Check out a new makeover with the Mary Kay Virtual Makeover, get expert skin care and color advice, hold a teen and parent appointment to teach them about healthy skin care routines, Gift Shows, Hand and Nail Care, Spa. Lakewoodite, Michael Bentley, finds great fulfillment in implementing wealth strategies to help his clients realize the fruits of their hard work. He diligently applies a level-headed, efficient approach to financial planning to pursue the important goals in his clients’ lives. Lakewood's own premier lawn care company. We offer lawn fertilization programs, aerations, grub prevention, a perimeter pest program, and a landscape fertilization program. All lawns in Lakewood only $25! Calling All Singles for Handwriting Submissions. With your help, I'd love to see if I can bring people together with my expertise in graphology and experience in sustaining a happy marriage for over 35 years. Join Subconscious Connection Study. It's Cleveland's first-ever skater-owned flat track roller derby team! This team contains over a dozen women from Lakewood. Click on their link to find out the lastest from Sister Mary Cyanide, Morgue'N, Scooter Trash and the rest our Lakewood Girls! Annual family-friendly, holiday event in which convertibles and jeeps cruise Clifton Blvd "tops down" in a modern sleigh ride while pedestrians enjoy live music, ice sculpting demonstrations and specials in area boutiques, eateries and drinkeries. CCLAS” is the Citizens Committee for a Lakewood Animal Shelter, Inc. CCLAS, (pronounced "claws") is the support group for the Lakewood Animal Shelter. Every year CCLAS contributes thousands of dollars to maintain the animal protection programs that make our municipal facility much more than a "dog pound." We have several fundraising events throughout the year, and all the money we bring in goes directly to the programs and needs of the Shelter. The Pagan Pride Project is a non-profit organization. The primary purposes education of what Paganisim paths are and towards the elimination of prejudice and discrimination based on any religious beliefs and towards any religious group in Cuyahoga county and the surrounding areas. The CCC is based out of Lakewood. We hold monthly arts and crafts shows with lots more in the works! Web site for Green Energy Ohio's Wind monitoring data located on the Cleveland Crib. This data shows Lake Erie is a great source of wind energy waiting for Lakewood to utilize. As I heard one person explain, "When wind blows money flows." Our mission is to work towards the legalization medical marijuana, industrial hemp and sensible drug policy in Cleveland and the state of Ohio. The Cleveland Restoration Society uses the powerful tool of historic preservation to revitalize our diverse communities, strengthen the regional economy, and enhance the quality of life in northeastern Ohio. This nonprofit organization offers the owners of Lakewood's historic homes valuable services including: access to a low-interest home improvement loan, technical assistance to help answer questions about the home's condition and history, historic paint color reccomendations, and more. These services are provided to the residents of Lakewood free of charge. The civic journalism project that has started in Collinwood. Shop at 15621 Madison Avenue in Lakewood that carries locally made goods from over 60 artists in Northeast Ohio. We have affordable arts and crafts classes too! Lakewood Resident makes beautiful lampwork beads for jewelry, rings, pendants and fun! The artisan also produced rings, bracelets and necklaces from the same! Please stop in and see what she's got to offer! Commissioned orders accepted! Professional Ballroom and Latin Dance instruction. Welcome to Deagan’s Kitchen & Bar, winner of Cleveland Magazine’s 2011 Silver Spoon Awards for Best New Restaurant, Best Gastropub and Best Service! A special diets food and cooking education service for all individuals living with diabetes, hypertension, high cholesterol, obesity, heart disease and kidney disease. Services also include catering, cooking demonstrations and worksite wellness programs. Easywind Studio is Lakewood's newest photography studio specializing in weddings, children, and families. We are a full service studio with many options and packages available to suite your needs. Visit our website, view our work, and call us to schedule a meeting. Latest fishing reports from the Rocky River in the Emerald Canyon. This river travels through the 350 million year old cliffs of the Emerald Canyon, and is a great place to fish for trout, salmon, bass, blue gills and other freshwater game fish. This blog is dedicated to those striving to improve fitness among their family member. Run by Liz Donnelly, IYCA Youth Fitness Specialist and personal trainer, you can download FREE e-books on the Top 5 Exercises for Kids Ages 1 1/2-5 and the Top 5 Exercises for Moms and Dads. Fitness Edge is a full service personal training studio specializing in body transformations and sport specific cross training for athletes. Over the years we have been able to help an array of clients, from brides training for their special day, new moms looking to shed excess baby weight, to tomorrow's next superstar athlete. Our Certified Sports Performance Coaches and Strength and Conditioning Specialists will not only take you through fun, yet challenging workouts, they will also provide help with program design and nutrition advice to help you reach your specific goals. A glossary of various internet flamers. We are proud to be recognized as a 501(c)3 church and not-for-profit Goddess Temple. We understand that our Goddess Temple is only the fourth Temple acknowledged in the world. Our mission is to restore the Divine Feminine to Her rightful place. Our dream is to have a Temple dedicated to the Goddess on every street corner. We hold rituals honoring Her for every Sabbat on the Wheel of the Year and meet on every Esbat for a meditation and community potluck. Our rituals are a time of spiritual reflection and personal honoring of the Goddess. Temple members freely participate in readings, prayers, drumming, setting up Her altar, and smudging. A social gathering follows each service, a treasured time of fellowship. Our community is an involved, active, social, and loving close-knit family. We share in each others' joys and challenges. We have a full calendar and host many fun events! Regular event updates are posted to this site... check the "Temple Events" and "Temple Happenings" boxes at right for at-a-glance reference, and visit our Events page for detailed information including maps to all events. Our members are dedicated, proactive, and committed people who use their many talents and abilities to serve the Goddess and support our growing Temple. The Goddess Temple depends entirely upon its members for its day-to-day functioning and growth! This is truly a Temple which is built and sustained by its community. While we follow a Dianic path, we invite both women and men as members of the Temple. All are accepted and welcomed as guests to any of our services. We believe that all spiritual paths are genuine. great gardens ltd. THINK SPRING ! We can help ! Full service landscape professionals located in Lakewood. 14235 Detroit Ave.
Gyroscopethattakesyouplaces is about people, places, and things in Cleveland, Ohio. The people are artists, musicians, writers, and thinkers. The places are neighborhoods, mostly in and around Cleveland. The things are mostly made here, too. Some of the things were not made here. Those are mostly bicycles. A bicycle is a gyroscope that takes you places. Gyroscopethattakesyouplaces is written by Michael Gill, a writer, editor, wood block printer, and a bicyclist. Need more business from the web? We are experts at generating top quality leads for your company. Blog of ongoing events and artist specials at Keyhole Gallery. 11817 Detroit Ave.
Koinonia is a non-profit organization that provides residential, day and vocational support services to people with developmental disabilities throughout Cuyahoga County. causual snaps of lakewood. lakewood daily snap is part of the international city daily photo blog community. city daily photo is considered "the best of the city daily blogs on the internet." Founded in 1907, Lakewood Hospital, a Cleveland Clinic hospital, is an acute care, community-oriented hospital located in the city of Lakewood on Cleveland's west side. Lakewood Hospital's strong clinical Centers of Excellence include: Diabetes and Endocrine Center, Neuroscience, Rehabilitation, SeniorCare and Orthopaedics. When someone you love is injured or sick, remember... Lakewood Hospital's ER is open 24/7 and cares about you and your family. Your life is our life's work. The Lakewood Hospital Teen Health Center provides teens ages 12 to 19 with answers to the common questions many young adults have today. The staff understands the needs of teens and can provide a comfortable place to receive a variety of services. Some of the areas we can help your teen with include: Emotions; Sexuality; Pregnancy; Drugs & Alcohol; Relationships; Coping with Changes; Fitting In; Expressing Thoughts & Opinions; Conflict Resolution; Peer Pressure; Sexually Transmitted Diseases No concern or question is too small… Contact us at 216.391.TEEN (8336) to make an appointment. In an environment that fosters true friendship, we offer the best opportunities for community service and leadership development to men and women 21-39 years of age. Local realtor - Use someone who lives and loves Lakewood! Changing the face of real estate one relationship at a time. You won't be just another transaction!! Lakewood Photographic Society started over fifty years ago and is for anyone with an interest in photography. Our members range from beginners with easy-to-use point-and-shoot cameras to very advanced, experienced photographers. Our weekly programs are varied. We have talks on photographic topics, and slide, digital, and print competitions. We also have several field trips throughout the year. While our meetings are at the You are encouraged to come to any meeting as a visitor, and new members are always welcome. LPCNS is a certfied pre-school conveniently located at the corner of Detroit and Marlowe Avenues in downtown Lakewood. This non-denominational preschool has been in operation since the 1970s and hosts classes for 3 year old, 4 year old and Pre-Kindergarten aged children. The comic strip featured in the Lakewood Observer, written and illustrated by Lakewoodite Rob Masek. Lakewood's one and only grassroots organization advancing ecologically responsible community action. A website for the Lakewood High's Class of 1968 and up coming reunion. The website of Lakewood High's state champion team. Contains schedule and news, as well as info on how you can support this hard working bunch of kids! No, not professional wrestling! This website is dedicated to the Lakewood Rangers wrestling team. Get team info, results and updates. Little Peeps is a semi annual consignment event for children & maternity clothing, furniture, gear, etc. Visit us at www.littlepeepsboutique.com to see the exciting benefits of consigning with Little Peeps. Register today! Learn more about these four-legged angels! This Lakewood-based volunteer group of certified therapy dogs brings love and uplifting interaction to area nursing homes and hospitals. Website for Loving Paws, Lakewood's volunteer therapy dog group. "Connecting the Creative with the Community" Artists, small businesses, home based businesses, shops, restaurants Margaret Promotions can help you find your customers. Dedicated to promoting films and filmmakers from Ohio and its border states, Midwest Movie Maker hopes to grow into the premiere online destination for movie fans and media professionals from the Midwest. Miss Lakewood Pageant 2011 presented by TCL Elite We are honored to present to your community such an exciting event that every girl has the opportunity to be a part of. Lakewood is a beautiful community that has evolved immensely over the years in so many ways. As one of USA Today’s "Coolest Suburbs Worth a Visit”, we thought it would be the perfect location for our next Community Pageant. Giving a pageant in a community like Lakewood allows TCL Elite the chance to pay it forward as well as encourage community and family involvement. MyDiscountCoupon.com is all about making your dollar stretch as far as possible. It is run by a local Lakewoodite and provides printable coupons for everyday products – groceries included. There is no personal information required and no spam. Simply visit the site, select the coupons, print them out, and enjoy the savings. Thanks! Located on W. Clifton blvd and Sloane ave, The selection of natural products, ranging from cosmetics to organic syrups and jellies is well thought out and competitively priced. A great neighborhood grocery! OhioTree.com Complete Tree Services is a local Lakewood tree company that is currently offering 10% off any tree removal, tree trimming, tree pruning, stump grinding, or tree care service. OhioTree.com is fully insured and bonded and plants 2 trees for every 1 it removes. Lakewood's own Phoenix Coffee. Check out the calender of events and find out what is going on at the hottest spot in Lakewood. To better serve city, its businesses and its residents, the Lakewood Chamber of Commerce has developed Pillars of Lakewood. Our programs are open to anyone who lives in Lakewood, works in Lakewood or has business interests in the city. By responding to the needs of the community, we hope to be a resource which will contribute to building a foundation for tomorrow. Primp Salon & Spa is the West Side's hottest new salon. Located on the West Side of Cleveland, near Rocky River in Lakewood, Ohio, we offer a unique salon experience combining retro and modern with a touch of elegance. Whether it's for an Anniversary, Birthday, Wedding, Bridal Party or just to pamper yourself, our unmatched service will make sure you are completely taken care of. Random Thoughts and Views from a Random Thinking Kind of guy. Your millage may vary. Open Source Fan, Linux Geek. Enjoying life in Lakewood, Ohio. Fantastic new construction in Lakewood. Rozi's Wine House Incorporated has successfully operated wine and beverage stores in the Lakewood area for over 65 years. This family owned business was started by Maurice Rossen in 1939. The store is now operated by his son Warren Rossen, Warren's son, Gary Rossen and Gary's sone Corey. Rozi's four generations of maintaining a remarkable operating record and history of quality service to the community is a result of family pride and care. Indulge in upscale salon services within our relaxed atmosphere. We are located on the hip strip at Madison Avenue, where our clients are treated to boutique services at reasonable prices. We service all hairtypes.Call us anytime and ask Rachel, Anthony or Natalie how to fall in love with your hair again. The World Famous T-Shirt Museum! The best tenant screening service in Lakewood. 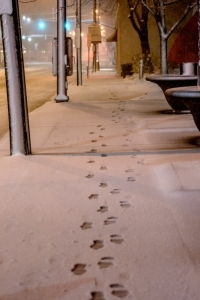 The Apartment Place offers Criminal Background Checks, Employment Verification and Previous Landlord Validation. We provide property owners a convenient way screen all of their rental applicants, that is affordable, consistent and easy to use. Start Screening! The Capitol Theatre has become the most exciting location for movie-goers on the West Side of Cleveland. Like a year-round film festival, the three-screen Capitol features independent, foreign and documentary films. Several market studies have demonstrated strong potential growth for an art and independent film theatre on Cleveland’s West Side. Now complete, the Capitol now features an expanded lounge and concession area, including a selection of beer and wine, along with traditional movie concession favorites. Built in 1921, but vacant for the last two decades, this historic structure has reopened as a state-of-the-art movie theatre. Detailed wall murals, classically-inspired architecture, and a vaudeville stage will be restored to recreate the atmosphere of the 1920s-era movie palace, but with all the amenities of 21st century technology, featuring all-digital projection and 3D capabilities. Take the pledge to bring CIVIL DISCOURSE back to the discussion. The webpage for Northeastern Ohio's local historic preservation organization. The Collinwood Observer, proud member of the Observer family of community owned media projects. The Observer media project for Cleveland Heights and University Heights. The Parma Observer, proud member of the Observer family of community owned media projects. Serving Parma, Parma Heights, and Seven Hills. The Root Cafe' Restaurant and Espresso Bar. They've got everything from Craft Beers and Pizza, to Espresso and deserts. Local art, Fast service and a Lovely, Clean atmosphere! American gelateria and treats shop featuring homemade, all natural gelato using mostly local and/or organic ingredients. Also serves cupcakes, cookies and pies from local bakers. The Observer media project for Westlake and Bay Village, Ohio. Information on receiving FREE milkweed seeds to help the Monarch Butterflies when they visit Lakewood. Parents can join Fitcamp and burn off unhealthy fat, get strong and keep up with their kids. Kids can be part of Kidscamp and learn how fun fitness can be through developmental game-playing. Website for the University of Akron, which has a satellite in Lakewood, Ohio. Called the Princeton of the Midwest. Up2Bat for Nicaragua is a project dedicated to donating used and new baseball/softball equipment to children in Nicaragua. Learn about how you can contribute to satisfying baseball dreams for kids in Nicaragua! Find out where your money was and where it is headed. Proudly serving Lakewood since 1922. Woodard Photographic is the official school photographer for Lakewood High School. Woodard is the premier studio for senior portraits and sports photography. Lakewood High School Classes of l967 and l968 hold our 40th reunion on July 25th at the CYC. Details on the website or through Margie Dusenbury Hildebrandt at 440-331-0890.